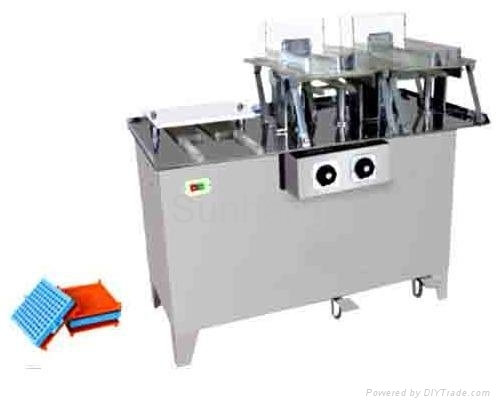 This machine is the company to 400, based on carefully designed new products. Set of three machines (cap, body arranged machine, locking machine) as a whole, compared with reduced operator, reduced workplace. 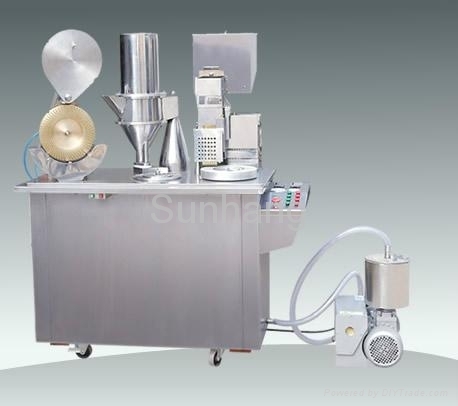 For small pharmaceutical factory, hospital preparation subjects, laboratory test, plant health products and other units of the capsules, the fit, locking. Use: 00 # 4 # Capsule cap and body of the fit and powder filling. 1, simple operation, easy maintenance, low power consumption, high efficiency, and the use of a machine. 3, simple structure, small power consumption, high efficiency, maintenance, cleaning is easy, very low failure rate. 6, 100% capsule filling, capsule more than 99.8% pass rate, and will not damage the capsule.